Gregor was in the military, a Hussar, a cavalry force. After a brief hiatus, I'm back to researching the microfilm records. 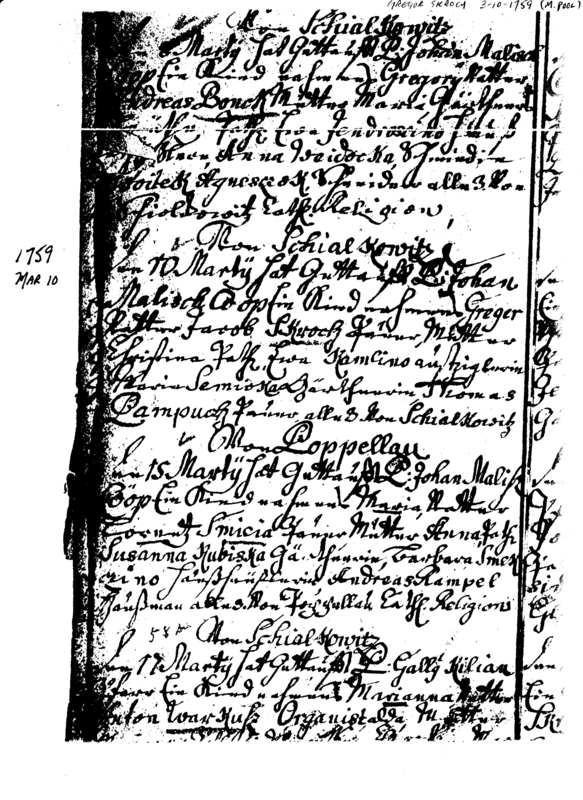 Attached is the baptism records for Gregor (Greger) Skroch from 1759 and Susanna (Zuzanna) Fiecek from 1767. They are the parents of Simon Skroch (born in 1802). Gregor's father is shown as Jacob Skroch and mother Christina. Susanna's father is Christek (Christian) Fiecek and mother Anna. I don't know when Jacob was born. One source says about 1706 and another source says about 1734. The latter date sounds more plausible and I hope to find something to resolve the question. However, unless another source is found that I'm not aware of, I have some doubts we'll be able to go further back than Jacob. I hope I'm wrong. Christina Path. Ewa Kamlino ????? Christina Godfather/godmother Ewa Kamlino ???? 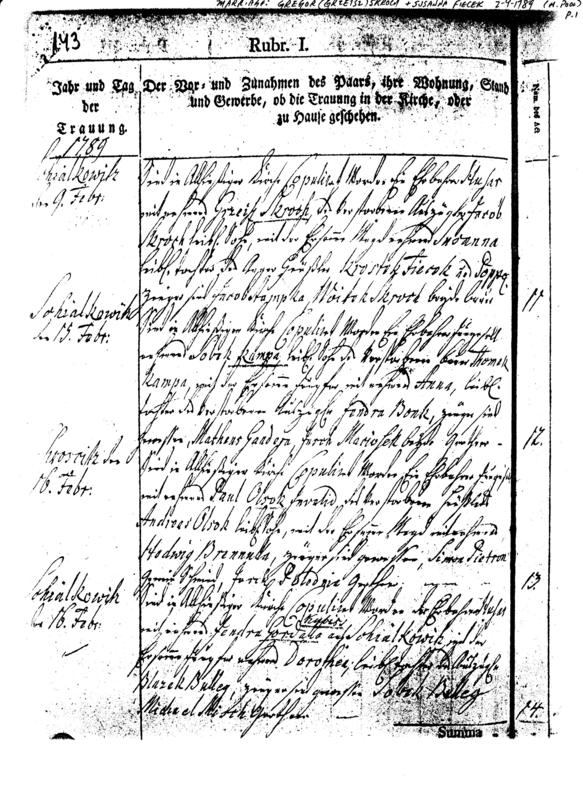 Attached is the marriage record of Gregor (Grzeisz) Skroch (b.1759) and Susanna Fiecek (b.1767). They are the parents of Simon Skroch. 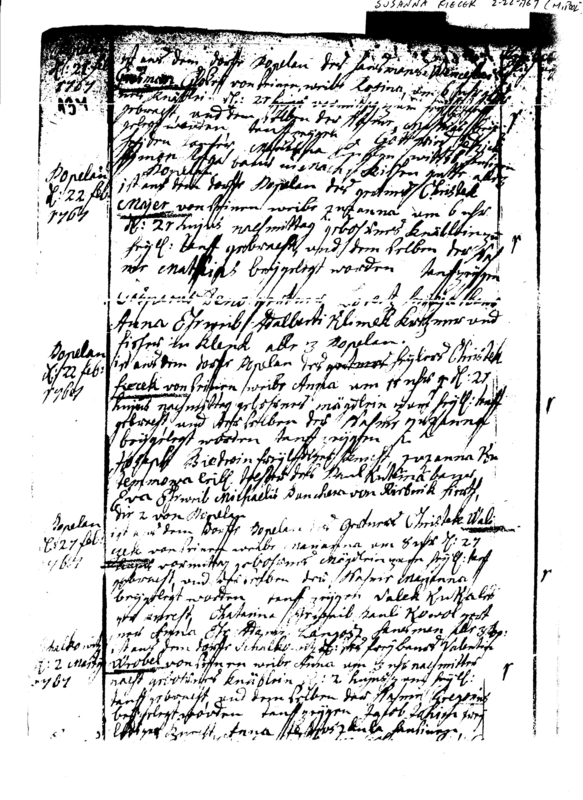 The marriage record shows Gregor's father as Jacob Skroch and Susanna's father as Kristek Fiecek. Witnesses are Woitek Skroch and Casper Stampka. Here is Woitek (again!) who appeared as a witness 13 years earlier at Michael Skroch's wedding. By the way, all the marriage records I sent in the last few days are from LDS Film#0937164.